Yesterday Canada’s Fi nance Minister Bill Morneau announced a series of changes to the rules used to underwrite insured mortgages. There is a lot to unpack so I’ll do it in three installments: Part One will focus on the change that will take place on October 17, Part Two will cover the changes that will take place on November 30, and Part Three will offer my take on the longer-term impacts that these changes will have on Canadian borrowers and our housing markets across Canada. Let’s start with the first change, which will be implemented less than two weeks from today. 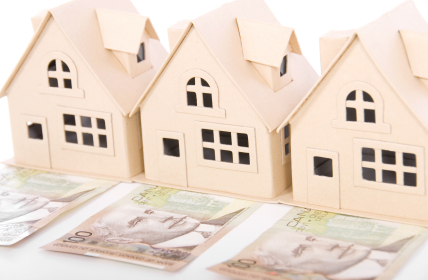 Effective Oct 17, all insured mortgage applications will be underwritten using the Bank of Canada’s Mortgage Qualifying Rate (MQR). The MQR was first implemented on April 19, 2010 as an intelligent response to the lessons learned from the U.S. housing crisis (here is a post I wrote that explains how it works in detail). In short, the MQR requires high-ratio borrowers who want to take out either variable-rate loans or fixed-rate loans with terms of less than five years to qualify using a rate that is higher than the actual rate on their mortgage. Today, the MQR is set at 4.64%, which is about double what you would actually pay for a market five-year variable-rate mortgage, and that gap helps ensure that the borrowers most vulnerable to rate rises can afford higher payments when the time comes. Borrower #1 is a fairly typical first-time buyer. He is putting down less than 10% of the purchase price and the MQR change will lower his maximum purchase price by 18%, from $520,000 to $425,000. Borrower #2 could either be a first-time buyer at the higher end, or perhaps someone who is moving from a condo to a house. She is putting down about 15% of the purchase price and the MQR change will once again lower her maximum purchase price by 18%, from $700,000 to $575,000.